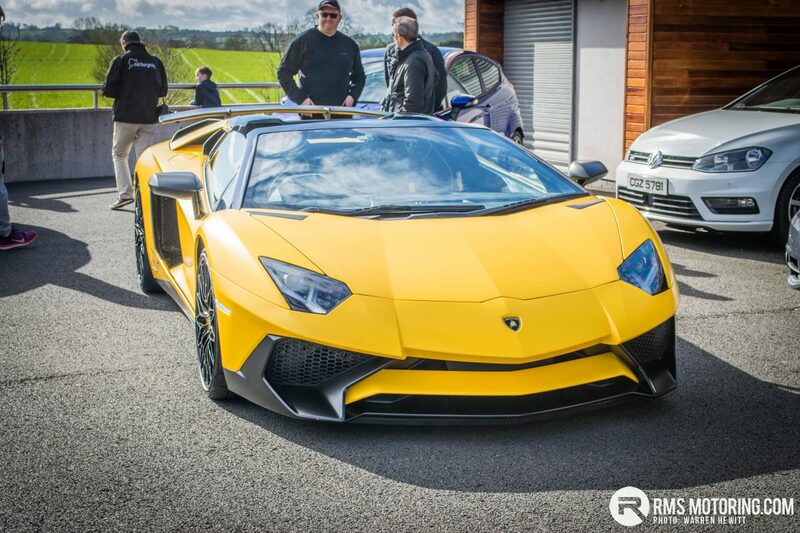 TSCCNI and Vanilla Black Coffee return with their cars and coffee event at the Down Royal near Lisburn. This free event always draws a wide range of cars from classics to supercars and everything in between. Vanilla Black Cars ‘n’ Coffee meets were held very successfully over the past 4 years at Down Royal Park and proved to be very popular. The meets that we held at Down Royal during 2018 raised a total of £3500 due to your kind donations and generosity. This was donated to NI Air Ambulance which I’m sure you’ll agree, is a very worthy cause. The format of the meets will continue as before – ie there is no requirement to pre-book. Just arrive in whatever you wish, and park as directed. At the entrance to the site you will be offered the opportunity to make a donation to NI Air Ambulance before being directed to the parking area. Directions to Down Royal Park are signposted from A1 dual carriageway Dublin Road and A3 Lisburn – Moira Road just follow the brown signs for Down Royal Park. We feel obliged to remind you that there is a speed limit of 30MPH on roads approaching the Down Royal Racecourse. Within the Racecourse there is a 10MPH speed restriction, which is for the safety of participants and pedestrians. Please adhere to these speed limits. Vanilla Black Catering is an on-site food vendor and will, as usual, be in attendance to keep us all sustained with an ample supply of food, tea & coffee so we should not go hungry or thirsty. These meets are arranged for your enjoyment, but we must not forget the need to raise much needed funding for the NI Air Ambulance Service. The vision and dream of the late Dr John Hinds to change the face of emergency trauma care in Northern Ireland has become a reality. Now it’s up to all of us to keep the funding in place to enable the NIAA team to continue with their wonderful work. Please also remember that we are there at the permission and good will of the owners of the Down Royal Racecourse. We want this to continue over the long term. So please, at all times remember the 3 Cs of Motor Vehicle etiquette – CARE, CONSIDERATION & COURTESY.